Street parking is metered until 6 pm or there is one neighborhood parking facility a block away at The Japan Center garage at 1610 Geary Blvd. We are located on the Southeast corner of Geary Street and Fillmore Street. Muni buses run regularly to the Japan town area. 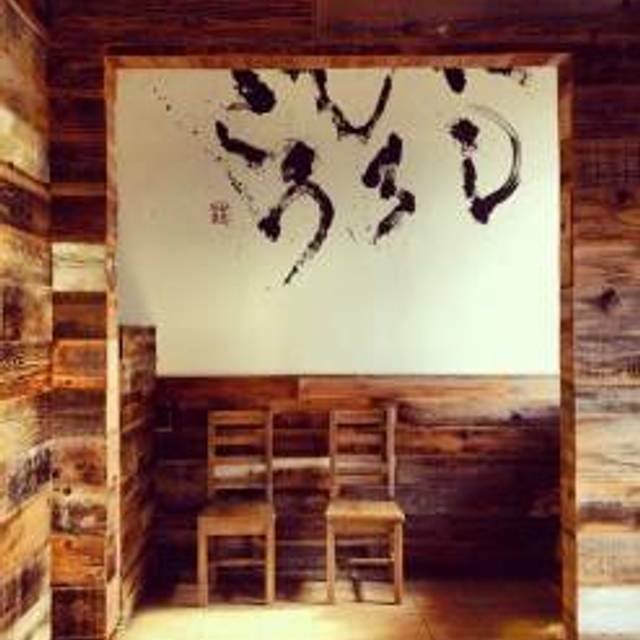 Our space offers private tatami rooms with a minimum seating of four and up to eight. The rooms feature sliding doors that connect to an adjoining room for larger parties. Each room requires a $250 spending minimum and can be used up to three hours. The largest room seats up to 8 and requires a $350minimum. 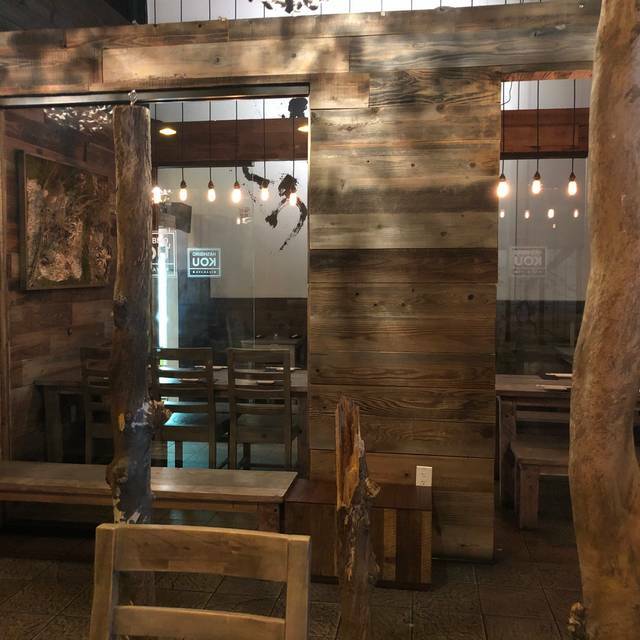 Izakaya Kou is taking the idea of the traditional Izakaya and turning it into the modern gathering place where we offer high quality Japanese fusion tapas and various unique drinking beverages in a comfortable, modern and fashionable atmosphere. It is a place where people can linger with good friends, good food, and drinks in the heart of San Francisco. 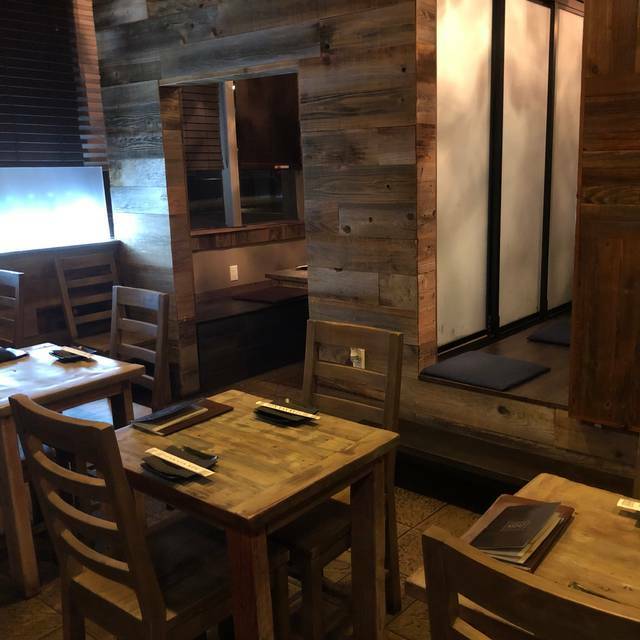 If you would like to reserve a Tatami Room, please be advised, each room requires a $250 minimum with 3 hours use of the space. The largest room, seating up to 8 is a $350 minimum. Parties of 6 and more, please contact the restaurant directly between the hours of 4pm-10pm. This place is a great place for a date or to catch up with a friend. The sushi was delicious. Presentation of the food was really well done. The Chilean Sea Bass was amazing. We also got the assortment of sushi and it was all very fresh and very tasty. I will definitely go back! This is one of our favorite places. 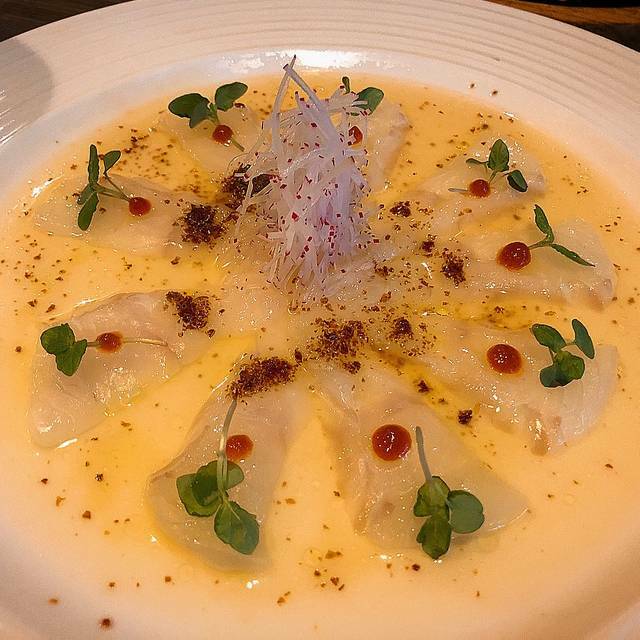 However, they were out of the hamachi collar. This was our reason for coming so super disappointed they advertised it and then didn’t deliver. Otherwise, this place is top notch. We visited after a show at Fillmore across the street, so it was close to last seating and atypically quiet. Although it was last order shortly after seated, service was extremely efficient yet didn't feel rushed. Maybe the sashmis were served a bit too cold, but the quality of the food was great. Well-flavored Chicken Nanban, juicy eggplant, etc etc. I had forgotten how good the food was here, and happy to have returned. Nice place and relatively speedy service but the noise level is unbearable. Is there a reason for blasting the music *so* loud? I can't think of any. You are a restaurant, not a club. We asked them to take the volume a notch down so that we can have a conversation with our friends and we were ignored. Good place but we're not rushing back any time soon. Amazingly plated food with a lot of care given to flavor. Wonderful atmosphere perfect for date night. Not impressed is my best summary. Food was okay, but kind of greasy. The prices were reasonable. The service was on the slow side. Restaurant was only half full. It wasn’t a bad meal, but I also don’t plan on going back again. The food is delicious and menu selection is fantastic. Service was spotty, perhaps because it was a busy Friday night. We had to ask for basic things, like soy sauce dishes and water refills. We were put in a booth/room, which was nice, but they didn't tell us we had a 1 hour limit. So, when we asked for dessert, they said we didn't have time, and rushed us to pay. Oddly, we then waited 10 minutes to get our credit cards picked up and returned. Would have been nice to have our dessert, while we waited. Unfortunately we were looking forward to this restaurant… First of all, the food came all at once with our soup and appetizers and could barely fit on the table. Our bottled sake was just put on the table and never even opened or poured. We were never asked how we were doing and even had to get up and ask for our check. The waitstaff looked frantic and stressed and so we were uncomfortable. The food was OK, but nothing to write home about. 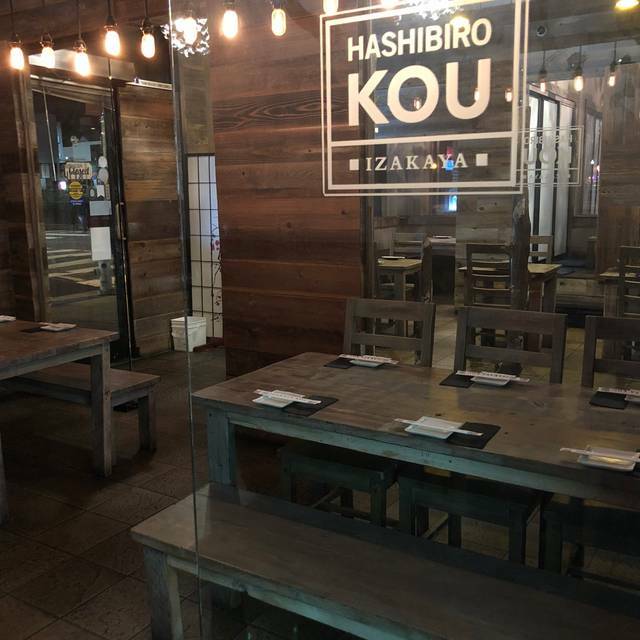 Restaurant named "Izakaya" that doesn't actually offer izakaya. WTH. Hamachi collar was exceptionally delicious. One of the best things on the menu. Honestly not the type of person to write bad reviews, or reviews at all for that matter. This place was disappointing to me. I found it through Yelp and choose it based on the number of stars, then booked through OpenTable where I have been asked to review. The ambiance is great, but the food is mediocre. The okonamiyaki was an overpriced waste and was far from a good representation of the actual dish. The pickled veggies were straight out of a package, sparse and pricey for what they were. I don't mind paying equally for an in-house version. Those were my two biggest complaints. I'm not here to ramble on. 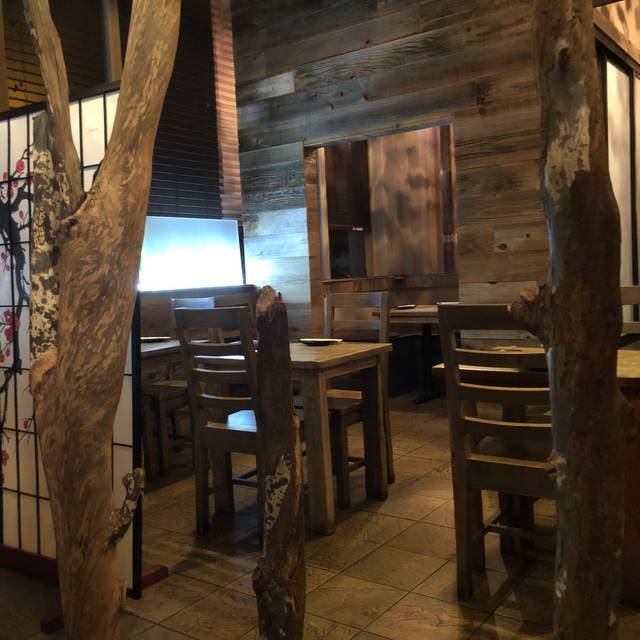 This is just not authentic or a well done version of an izakaya. Went with a girlfriend before a concert. Rolls were a little limited in selection. Miso was delicious and nigiri was amazing. Would definitely go back for another get together or a date night. 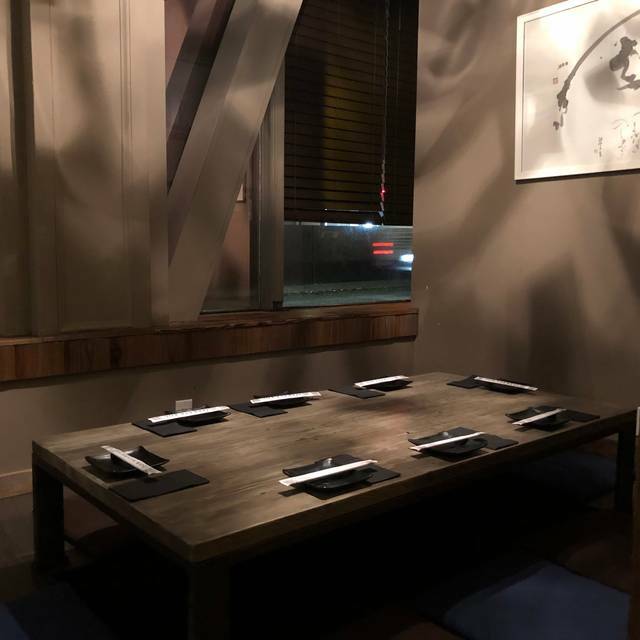 We booked a tatami room for a friend’s get together. Was so fun to have a private space to sit and enjoy each other’s company! Food was fun and flavorful. Would go back for sure! We had an amazing birthday dinner because the staff at Izakaya Kou are AMAZING. We are so grateful for their excellent service x for helping us with our request. Birthdays are now a tradition here. very trendy interior and food plating. music is good to have fun with friends or girl friend too. foods are more like Japanese plus asian fusion but made me to remind popular izakaya in tokyo, Japan. loved it. a lot of sake lists and wines also. i will definitely be back with friends!!! I was seeing a show at the Fillmore and I had been here before but I remembered it being tasty. But the food was so bad and the service was worse. We had to flag a waiter down to take our order after waiting 5 minutes with our menus down. I asked for soy sauce 3 times, then suddenly a server was ready to clear the (not very fresh) 4 piece carpaccio away with 1 piece remaining. Had to ask for water refills, etc. The tuna bomb dish was absurd. 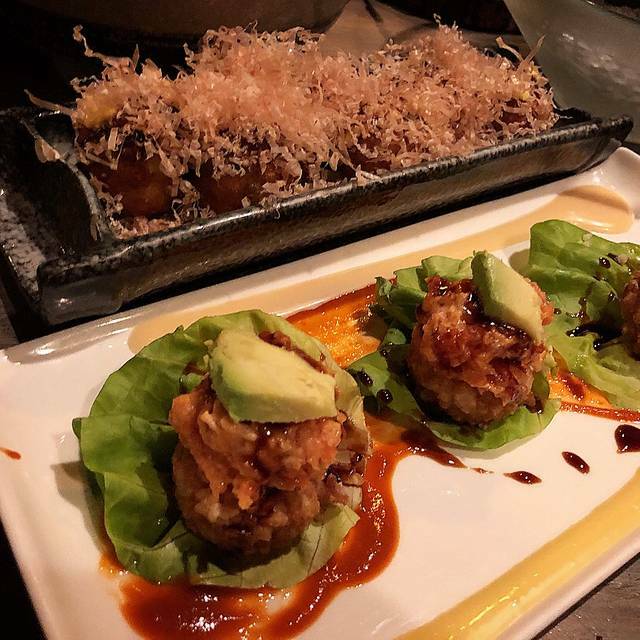 It was a ball of spicy tuna, onion, sprouts, mayo wrapped in avocado and covered in a sticky sweet soy and taro chips - with a sparkler in it like it was a birthday dessert. So odd. And disgusting. Didn’t finish it. The black cod miso and dengaku miso were so oily it ruined both dishes. They put some kind of chocolate drizzle on the mochi which also seemed unnecessary. Mango and chocolate just don’t mix. It’s a cool spot with the tatami rooms but whoever runs this place seriously doesn’t know anything about food or how to run a restaurant. There’s so many good restaurants in SF, I really feel cheated out of an opportunity to try a better place. It will be closed soon. Fantastic food, really helpful and accommodating staff, so convenient before a concert at the Fillmore! Would not have known about this place without open table! Only change have been great to have cushions on the hardwood chairs! Will be back when not rushed before a show! Grabbed a quick dinner here with my boyfriend before seeing a show at The Fillmore (it's right across the street). We showed up a little early in the evening so it was still pretty empty but we got sat in a back corner of the restaurant right in front of the back kitchen which wasn't ideal. The food however was really well priced for sushi in SF. I'd highly recommend the scallops and Red Dragon Roll. Will definitely eat here again next time I'm in the neighborhood. We were visiting from out of town and wanted to try a local Japanese restaurant. This was excellent! The staff was very accommodating of us. I personally prefer authentic Japanese food. This restaurant is more Asian fusion. The food is fair but a little bit overpriced. Black cod is great. We had a wonderful time and food was worth the price. Good value! Really tasty sushi, super authentic. All of the dishes we ordered were really good (especially recommend the Kou bomb. For rolls, we loved the spicy tuna rolls, and the red dragon and caterpillar rolls were great too). Not the best experience. Food is decent, but service was pretty bad. They only saved themselves from a 2-star with a proper comp for something that they just forgot about. Wonderful, as always. Super fun way of delivering tappan to the table! Fun to try Sparkling Sake. Very trendy. The manager was so helpful finding me a table after I was misadvised to come even tho I was late for my reservation. Been here many times. Service good and was as good as ever this time, but our favorite food was not available at 10pm. What we found was that the our favorites like Okonomiyaki and a couple other dishes are great, but honestly, the rest of the menu is mediocre and not worth the money. I recommend this restaurant, but not later at night when they have a limited menu. Though not super comfortable, the interior is pleasant. The service was surprisingly fresh and the staff seemed concerned that we were enjoying ourselves. Food choices all good. Highly recommend Brussels sprouts, Grilled seabass w/ dry miso and yuzu sauce, and the buttered scallops. Hamachi sashimi incredibly fresh and well sliced, but the hamachi nigiri was disappointing. It was so noisy! High ceilings and loud music. Why don’t the ceilings have some kind of noise proofing? Outstanding service and outstanding food quality. Great find on Fillmore!